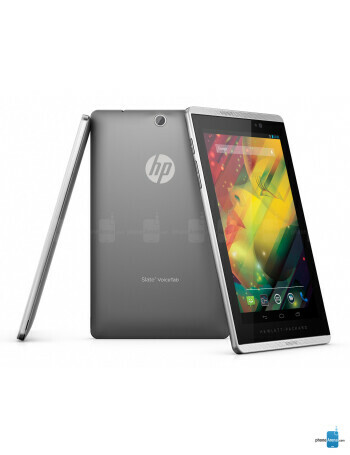 The HP Slate 7 VoiceTab features 7-inch display with 800x1280 pixels, Android 4.2.2 and a 1.2 GHz quad-core Marvell processor, coupled with with 1GB RAM. There is also a 5MP rear camera, and an HD-capable front shooter on the Slate 7 VoiceTab, while HP included 16 GB of storage out of the box, with a micro SD slot for expansion. The phablet offers 3G connectivity, and has dual SIM support.